Before we get into the details of programmatic audio advertising, what exactly is programmatic advertising itself? Put simply, programmatic advertising is a way of buying digital ad space via software - as opposed to the traditional process of human negotiation. Using machines to buy ads is actually a really efficient way of buying advertising space, because both buyers and salespeople can be expensive and unreliable in the real world. With the use of machines the whole process is slicker and smoother than buying through RFP (Request for Proposal). On top of this, when the selling, buying, placement and optimization of media space is automated, marketers and advertisers can deliver more customized and personalized messages to audiences based on real-time data – this isn’t the case with RFP. With programmatic you get targeted data about things like music-based psychographic groups, weather and traffic patterns, purchase behavior and other environmental, population and consumer trends. Where Does Programmatic Audio Advertising Come In? 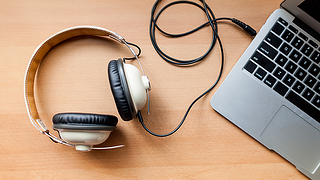 Audio ads are beginning to rival TV ads in terms of reach and according to research by RAJAR (Radio Joint Audience Research) 3.7 million adults listen to podcasts, which is around 6.5% of the adult population. In the U.S., radio leads all other platforms when it comes to weekly reach, connecting with 93% of the American population aged between 12 and 54. While video ad forms the main part of programmatic advertising currently, over 55.1% of marketers agree that audio may be ready to take over the programmatic market. 68.9% of marketers that were polled also felt that with programmatic targeting advertisers can trace the impact of audio like never before. Today’s advertisers need to be savvy and to use every possible means to reach their target demographic. Consumers are looking for better experiences and advertising teams need to keep up with this demand. There’s no denying the benefits of programmatic advertising and audio advertising individually - so now is the best possible time to get into both, by dedicating enough of your programmatic budget to audio. The benefits of programmatic audio advertising go much further than pure reach. In terms of traditional online display ads, fraud is becoming a key concern for marketers; and so audio ads offer a way to avoid the fact that the majority of bots focus on traditional display ads. Beyond radio itself, audio offers loads of other opportunities via streaming. Spotify has close to 100 million users (as of June 2016) and 60% of these use the free service which exposes them to ads. In fact, according to the RAJAR Midas Audio Survey of 2015, 51% of time spent with on-demand music services is to a service that features advertising. On top of this, when you advertise in an audio space, you’re out there on your own. The time you’ve paid for is yours and yours alone, because you’re not competing with other adverts, or a limited screen space. Put simply, listeners can’t listen to anything else while they’re listening to an ad, so the engagement is a massive factor for placing audio ads. Programmatic audio advertising also works well on mobile. In America, 75.8% of U.S. digital audio listening occurs on mobile vs. 24.2% on desktop. And here in the UK, 38% of audio listening is on devices other than radios - primarily PCs and laptops, which make up 11% of all audio, and smartphones, which make up 8%. Mobile advertising is growing in popularity and effectiveness day by day – so with programmatic audio advertising you can get in on this act. In summary, there’s no denying that radio - the original broadcast medium – hasn’t lost its appeal. And whether consumers are streaming music, listening to podcasts, or tuning in for the news, they really are all ears. By adding programmatic audio advertising into your marketing campaigns you’ll be tapping in to today’s key trends and reaching out to your target audience more effectively than ever before.